Want to cuddle with Lori Anna? In my space and world, you are important; you matter; you are valid; and you are lovely. In my sessions, you are my only focus. I’d love to see you, hear anything you’d like to share, and cuddle you the whole time. I hold and offer a safe, confidential, platonic, and consenting space where anything you express at any point will be respected, without question. While you might arrive nervous, stressed, anxious, weary, or trepidatious, I guarantee we will part ways with you grinning, relaxed, alive, happy, renewed, heard, and loved. 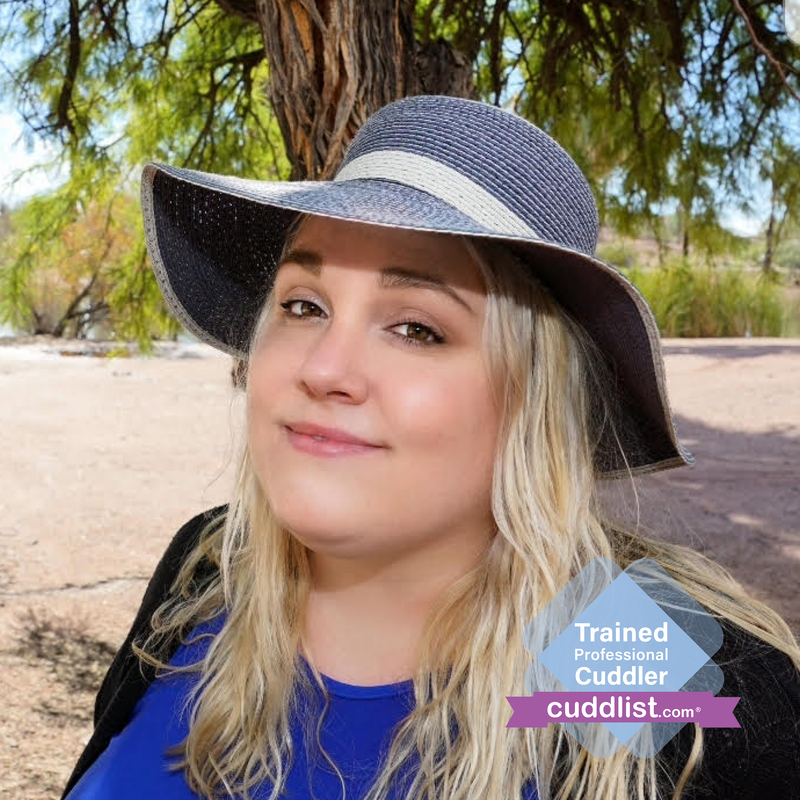 There’s no cost to request a session, but it would give me the pleasure of being able to talk with you about cuddling. I’ll reach out once you let me know you’d like to cuddle. We can chat on the phone, e-mail, or meet in person so I can learn more about you and make sure you’re taken care of. Our sessions will be held at a chemical free spa in Tempe (85282). The space has soft lighting, a large and plush bed with plenty of pillows, candles, customizable music, and aromatherapy via essential oil diffuser. We’ll sit together and chat at the beginning of our session: answering any questions, reviewing some mutual agreements, and identifying what direction you’d like our time together to go in. You are encouraged to change your mind as often as you like in this space. Kindly request you arrive to our time clean, scent free, and in comfortable, fresh clothing. I accept cash, major credit/debit cards, Venmo, or Paypal. Kindly request any cancellation or reschedule at least 24 hours prior to appointment time. Everyone is welcome: I do not discriminate when accepting appointments.